Last year, I predicted that this would be a good year for 10-Gigabit Ethernet switch and router manufacturers because of the growing demand for high-bandwidth connections in enterprise networks. I was right, but not that right. I hadn't realized just how fast the market would grow. The market for 10-Gigabit Ethernet switches grew by more than 250 percent in the first quarter this year over the same period last year, according to Synergy Research Group, a Phoenix market research company. The number of 10-Gigabit Ethernet port shipments has risen by almost 2,000 percent since last year, an indication of lower port prices and overall market growth. The main use for 10-Gigabit technology exists within large enterprise networks and, to a lesser degree, data centers, metropolitan area networks and enterprise storage centers. Over the past few years, these applications have called for a huge increase in Gigabit Ethernet connectivity. Why 10-Gigabit Ethernet? In the first place, it has cost advantages over competing high-bandwidth technologies such as 10-Gigabit Sonet and 10-Gigabit Fibre Channel for storage networks. 10-Gigabit Ethernet also supports all network services, including packetized voice and video data, and layers 3 through 7 of network intelligence. 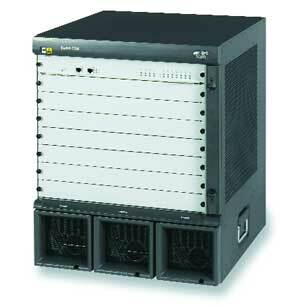 It easily scales for both enterprise and service-provider networks and supports virtually all network configurations. And since 10-Gigabit Ethernet is the first version of Ethernet to be entirely full duplex from the outset, it doesn't require the use of carrier-sense multiple-access with collision detection methods that could slow earlier versions of Ethernet. Look for these features in your 10-Gigabit Ethernet switch or router: multiple interfaces, port densities, scalability and optics. In judging price and performance, an apples-to-oranges comparison of 10-Gigabit Ethernet switches and routers is pointless because of the wide range of chassis architectures, port configurations and protocol support. The most accurate measurement is per-port comparison, and even that technique has many pitfalls.